Microgaming is one of the leaders in the field of online casino software development. It is almost impossible to find an online gambler who has not played their games many times. The players love Microgaming games because of their highest quality, valuable bonuses and impressive choice. And now the choice will be even wider with three new slots that are going to be released in October this year. So here are the details on the new slots. All 3 slots games are going to be available with Flash version than does not require to be downloaded, so the players will be able to enjoy them online. The other great news is that all of them will be available with Quickfire platform and there will be no need to wait till they get adopted for mobile devices. Probably the most remarkable of the slots will be the one named Paradise Found. Despite the fact it is actually a rather standard game with 5 reels and 20 paylines it is offering the incredible chance to win as many as 20,000 coins if you win the jackpot! And the bonus game can bring then thousand coins, which is a very impressive figure for a slots game of its type. The player can also win up to 10 free spins and they will have multipliers applied to them too. The other game is titled Rhyming Reels-Georgie Porgie and it is alike Paradise Found in many ways. But the maximum possible winning here is less than in the first game. 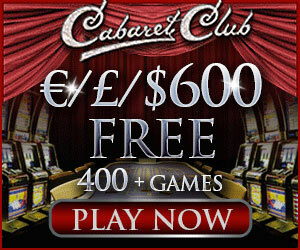 At the same time the players are offered more free spins (up to 25) and the maximum multiplier climbs up to 5x. The third game is the Dolphin Quest. The players will like its see treasure theme and the chance to find the treasure in the deep waters. In our mind this game has very bright atmosphere and it can really hold a player in thrall for hours. The bonus game here is very hard to gain and when you do gain it there will be just one free spin to win it. So it’s really neck or nothing here. The players who would like to try out the new slots games can do it very soon in online casinos powered by Microgaming. And it may be that they will become their favorite ones and bring them a real fortune!